In the first of the projects (Electric Access System Enhancement - EASE) Southern California Edison will demonstrate how Smarter Grid Solutions’ ANM Strata product provides control of high penetration renewables, enhances distributed energy resources (DER) grid hosting capacity, integrates DER into the distribution system and optimizes DER locally and regionally. 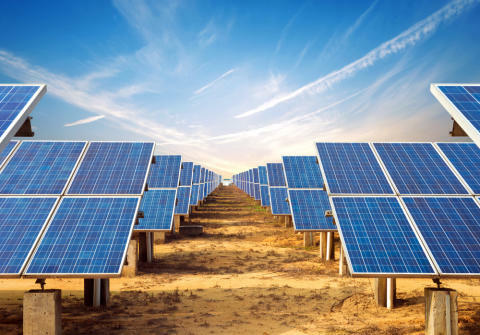 The project will also demonstrate reduced DER customer interconnection times and how a scalable architecture that allows PV and other DER customers to access and share critical information can improve planning and operations. This is a significant breakthrough for SGS in customer endorsement, product deployment and the demonstration of additional DER use cases. In the second project (Integrated Distributed Energy Management System - IDEMS) with Riverside Public Utilities (RPU) and Pacific Gas & Electric (PG&E), the ANM Strata Active Network Management (ANM) platform will host third party DER control algorithms to coordinate smart inverter controls for coordinated transmission power and voltage control. The project will also show how ANM eases the integration of Distributed Energy Resources (DER) into legacy operational systems through distribution feeder aggregated service control and facilitate DER transactions in retail and wholesale markets. The other project partners are University of California Riverside (UCR) and Lawrence Berkeley National Lab (LBNL). This marks a significant step forward for SGS technology applicability and use by partners and third parties to deliver DER monitoring and control functionality. Smarter Grid Solutions (SGS) is a leading vendor of DER integration interconnection and control solutions, developing and delivering software products and technology solutions that help electricity distribution utilities and DER operators to manage grid congestion, interconnection hosting capacity, and DER integration and management. The company specialises in Active Network Management, which uses software, automation and control technologies to monitor the electricity grid in real time and deliver DER management system (DERMS) capabilities and solutions. This allows power companies to operate electricity grids closer to their operating limits, without compromising safety and security. SGS serves and supports customers worldwide with ANM based DERMS solutions, operating a portfolio of ANM systems that manage 250MW of interconnected DER. SGS is headquartered in Glasgow, UK with offices in London, UK and New York, US. Investors include Scottish Equity Partners, the Scottish Investment Bank and the University of Strathclyde.